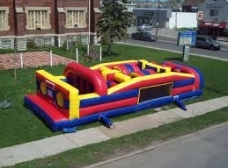 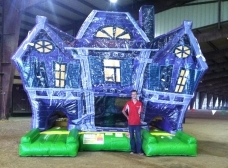 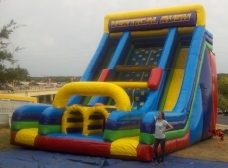 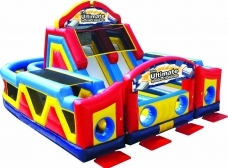 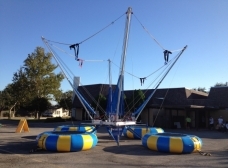 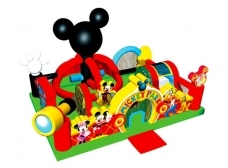 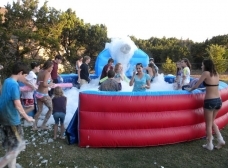 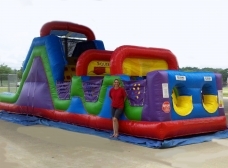 The 40' Wacky Obstacle Course is perfect for small and large occasions. 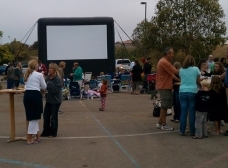 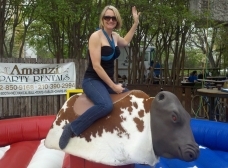 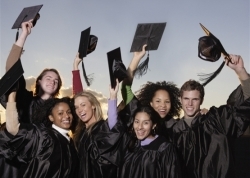 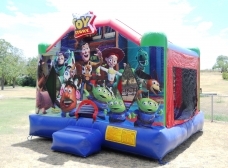 Sure to keep all ages engaged and having a great time. 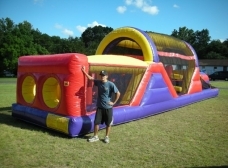 With many obstacles and slides, riders will complete the course to quickly run to the beginning to do it all again. 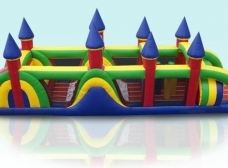 This inflatable back yard obstacle course takes participants on a journey crawling through tunnels, maneuvering around horizontal and vertical pop-ups, with stamina-building climbing and descending along the way! 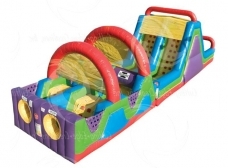 This sleek, low-profile Backyard Obstacle Challenge course provides a bright, primary-colored purple, yellow and red theme and its arching design will attract attendees and keep them entertained.